Vallabhbhai Patel (31 October 1875 – 15 December 1950), popularly known as Sardar Patel, was an Indian politician. He served as the first Deputy Prime Minister of India. He was an Indian barrister and statesman, a senior leader of the Indian National Congress and a founding father of the Republic of India who played a leading role in the country's struggle for independence and guided its integration into a united, independent nation. In India and elsewhere, he was often called Sardar, meaning "chief" in Hindi, Urdu, and Persian. He acted as Home Minister during the political integration of India and the Indo-Pakistani War of 1947. Patel was raised in the countryside of state of Gujarat. He was a successful lawyer. He subsequently organised peasants from Kheda, Borsad, and Bardoli in Gujarat in non-violent civil disobedience against the British Raj, becoming one of the most influential leaders in Gujarat. He was appointed as the 49th President of Indian National Congress, organising the party for elections in 1934 and 1937 while promoting the Quit India Movement. 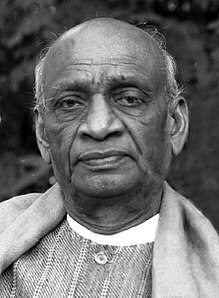 As the first Home Minister and Deputy Prime Minister of India, Patel organised relief efforts for refugees fleeing from Punjab and Delhi and worked to restore peace. He led the task of forging a united India, successfully integrating into the newly independent nation those British colonial provinces that had been "allocated" to India. 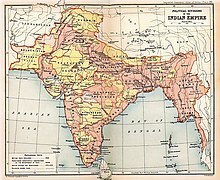 Besides those provinces that had been under direct British rule, approximately 565 self-governing princely states had been released from British suzerainty by the Indian Independence Act of 1947. Threatening military force, Patel persuaded almost every princely state to accede to India. His commitment to national integration in the newly independent country was total and uncompromising, earning him the sobriquet "Iron Man of India". He is also remembered as the "patron saint of India's civil servants" for having established the modern all-India services system. He is also called the "Unifier of India". The Statue of Unity, the world's tallest statue, was dedicated to him on 31 October 2018 which is approximately 182 metres in height. Patel's date of birth was never officially recorded; Patel entered it as 31 October on his matriculation examination papers. He belonged to the Leuva Patel Patidar community of Central Gujarat, although after his fame, the Leuva Patels and Kadava Patels have also claimed him as one of their own. Patel travelled to attend schools in Nadiad, Petlad, and Borsad, living self-sufficiently with other boys. He reputedly cultivated a stoic character. A popular anecdote recounts that he lanced his own painful boil without hesitation, even as the barber charged with doing it trembled. When Patel passed his matriculation at the relatively late age of 22, he was generally regarded by his elders as an unambitious man destined for a commonplace job. Patel himself, though, harboured a plan to study to become a lawyer, work and save funds, travel to England, and become a barrister. Patel spent years away from his family, studying on his own with books borrowed from other lawyers, passing his examinations within two years. Fetching his wife Jhaverba from her parents' home, Patel set up his household in Godhra and was called to the bar. During the many years it took him to save money, Patel – now an advocate – earned a reputation as a fierce and skilled lawyer. The couple had a daughter, Maniben, in 1904 and a son, Dahyabhai, in 1906. Patel also cared for a friend suffering from the Bubonic plague when it swept across Gujarat. When Patel himself came down with the disease, he immediately sent his family to safety, left his home, and moved into an isolated house in Nadiad (by other accounts, Patel spent this time in a dilapidated temple); there, he recovered slowly. Patel practised law in Godhra, Borsad, and Anand while taking on the financial burdens of his homestead in Karamsad. Patel was the first chairman and founder of "Edward Memorial High School" Borsad, today known as Jhaverbhai Dajibhai Patel High School. When he had saved enough for his trip to England and applied for a pass and a ticket, they were addressed to "V. J. Patel," at the home of his elder brother Vithalbhai, who had the same initials as Vallabhai. Having once nurtured a similar hope to study in England, Vithalbhai remonstrated his younger brother, saying that it would be disreputable for an older brother to follow his younger brother. In keeping with concerns for his family's honour, Patel allowed Vithalbhai to go in his place. In 1909 Patel's wife Jhaverba was hospitalised in Bombay (now Mumbai) to undergo major surgery for cancer. Her health suddenly worsened and, despite successful emergency surgery, she died in the hospital. Patel was given a note informing him of his wife's demise as he was cross-examining a witness in court. According to witnesses, Patel read the note, pocketed it, and continued his cross-examination and won the case. He broke the news to others only after the proceedings had ended. Patel decided against marrying again. He raised his children with the help of his family and sent them to English-language schools in Mumbai. At the age of 36 he journeyed to England and enrolled at the Middle Temple Inn in London. Completing a 36-month course in 30 months, Patel finished at the top of his class despite having had no previous college background. Returning to India, Patel settled in Ahmedabad and became one of the city's most successful barristers. Wearing European-style clothes and sporting urbane mannerisms, he became a skilled bridge player. Patel nurtured ambitions to expand his practice and accumulate great wealth and to provide his children with a modern education. He had made a pact with his brother Vithalbhai to support his entry into politics in the Bombay Presidency, while Patel remained in Ahmedabad to provide for the family. At the urging of his friends, Patel ran in the election for the post of sanitation commissioner of Ahmedabad in 1917 and won. While often clashing with British officials on civic issues, he did not show any interest in politics. Upon hearing of Mohandas Karamchand Gandhi, he joked to the lawyer and political activist, Ganesh Vasudev Mavlankar, that "Gandhi would ask you if you know how to sift pebbles from wheat. And that is supposed to bring independence." A subsequent meeting with Gandhi, in October 1917 fundamentally changed Patel and led him to join the Indian independence struggle. In September 1917, Patel delivered a speech in Borsad, encouraging Indians nationwide to sign Gandhi's petition demanding Swaraj – self-rule – from Britain. A month later, he met Gandhi for the first time at the Gujarat Political Conference in Godhra. On Gandhi's encouragement, Patel became the secretary of the Gujarat Sabha, a public body that would become the Gujarati arm of the Indian National Congress. Patel now energetically fought against veth – the forced servitude of Indians to Europeans – and organised relief efforts in the wake of plague and famine in Kheda. The Kheda peasants' plea for exemption from taxation had been turned down by British authorities. Gandhi endorsed waging a struggle there, but could not lead it himself due to his activities in Champaran. When Gandhi asked for a Gujarati activist to devote himself completely to the assignment, Patel volunteered, much to Gandhi's delight. Though his decision was made on the spot, Patel later said that his desire and commitment came after intense personal contemplation, as he realised he would have to abandon his career and material ambitions. Supported by Congress volunteers Narhari Parikh, Mohanlal Pandya, and Abbas Tyabji, Vallabhbhai Patel began a village-by-village tour in the Kheda district, documenting grievances and asking villagers for their support for a statewide revolt by refusing to pay taxes. Patel emphasised the potential hardships and the need for complete unity and non-violence in the face of provocation. He received an enthusiastic response from virtually every village. When the revolt was launched and tax revenue withheld, the government sent police and intimidation squads to seize property, including confiscating barn animals and whole farms. Patel organised a network of volunteers to work with individual villages, helping them hide valuables and protect themselves against raids. Thousands of activists and farmers were arrested, but Patel was not. The revolt evoked sympathy and admiration across India, including among pro-British Indian politicians. The government agreed to negotiate with Patel and decided to suspend the payment of taxes for a year, even scaling back the rate. Patel emerged as a hero to Gujaratis. In 1920 he was elected president of the newly formed Gujarat Pradesh Congress Committee; he would serve as its president until 1945. Patel supported Gandhi's non-cooperation Movement and toured the state to recruit more than 300,000 members and raise over Rs. 1.5 million in funds. Helping organise bonfires in Ahmedabad in which British goods were burned, Patel threw in all his English-style clothes. Along with his daughter Mani and son Dahya, he switched completely to wearing khadi, the locally produced cotton clothing. Patel also supported Gandhi's controversial suspension of resistance in the wake of the Chauri Chaura incident. In Gujarat he worked extensively in the following years against alcoholism, untouchability, and caste discrimination, as well as for the empowerment of women. In the Congress, he was a resolute supporter of Gandhi against his Swarajist critics. Patel was elected Ahmedabad's municipal president in 1922, 1924, and 1927. During his terms, he oversaw improvements in infrastructure: the supply of electricity was increased, drainage and sanitation systems were extended throughout the city. The school system underwent major reforms. He fought for the recognition and payment of teachers employed in schools established by nationalists (independent of British control) and even took on sensitive Hindu–Muslim issues. Patel personally led relief efforts in the aftermath of the torrential rainfall of 1927 that caused major floods in the city and in the Kheda district, and great destruction of life and property. He established refugee centres across the district, mobilized volunteers, and arranged for supplies of food, medicines, and clothing, as well as emergency funds from the government and the public. When Gandhi was in prison, Patel was asked by Members of Congress to lead the satyagraha in Nagpur in 1923 against a law banning the raising of the Indian flag. He organised thousands of volunteers from all over the country to take part in processions of people violating the law. Patel negotiated a settlement obtaining the release of all prisoners and allowing nationalists to hoist the flag in public. Later that year, Patel and his allies uncovered evidence suggesting that the police were in league with a local dacoit/ criminal gang related to Devar Baba in the Borsad taluka even as the government prepared to levy a major tax for fighting dacoits in the area. More than 6,000 villagers assembled to hear Patel speak in support of proposed agitation against the tax, which was deemed immoral and unnecessary. He organised hundreds of Congressmen, sent instructions, and received information from across the district. Every village in the taluka resisted payment of the tax and prevented the seizure of property and land. After a protracted struggle, the government withdrew the tax. Historians believe that one of Patel's key achievements was the building of cohesion and trust amongst the different castes and communities, which had been divided along socio-economic lines. In April 1928 Patel returned to the independence struggle from his municipal duties in Ahmedabad when Bardoli suffered from a serious double predicament of a famine and a steep tax hike. The revenue hike was steeper than it had been in Kheda even though the famine covered a large portion of Gujarat. After cross-examining and talking to village representatives, emphasising the potential hardship and need for non-violence and cohesion, Patel initiated the struggle with a complete denial of taxes. Patel organised volunteers, camps, and an information network across affected areas. The revenue refusal was stronger than in Kheda, and many sympathy satyagrahas were undertaken across Gujarat. Despite arrests and seizures of property and land, the struggle intensified. The situation came to a head in August, when, through sympathetic intermediaries, he negotiated a settlement that included repealing the tax hike, reinstating village officials who had resigned in protest, and returning seized property and land. It was by the women of Bardoli, during the struggle and after the Indian National Congress victory in that area, that Patel first began to be referred to as Sardar (or headman). As Gandhi embarked on the Dandi Salt March, Patel was arrested in the village of Ras and was put on trial without witnesses, with no lawyer or journalists allowed to attend. Patel's arrest and Gandhi's subsequent arrest caused the Salt Satyagraha to greatly intensify in Gujarat – districts across Gujarat launched an anti-tax rebellion until and unless Patel and Gandhi were released. Once released, Patel served as interim Congress president, but was re-arrested while leading a procession in Mumbai. After the signing of the Gandhi–Irwin Pact, Patel was elected president of Congress for its 1931 session in Karachi – here the Congress ratified the pact and committed itself to the defence of fundamental rights and civil liberties. It advocated the establishment of a secular nation with a minimum wage and the abolition of untouchability and serfdom. Patel used his position as Congress president to organise the return of confiscated land to farmers in Gujarat. Upon the failure of the Round Table Conference in London, Gandhi and Patel were arrested in January 1932 when the struggle re-opened, and imprisoned in the Yeravda Central Jail. During this term of imprisonment, Patel and Gandhi grew close to each other, and the two developed a close bond of affection, trust, and frankness. Their mutual relationship could be described as that of an elder brother (Gandhi) and his younger brother (Patel). Despite having arguments with Gandhi, Patel respected his instincts and leadership. In prison, the two discussed national and social issues, read Hindu epics, and cracked jokes. Gandhi taught Patel Sanskrit. Gandhi's secretary, Mahadev Desai, kept detailed records of conversations between Gandhi and Patel. When Gandhi embarked on a fast-unto-death protesting the separate electorates allocated for untouchables, Patel looked after Gandhi closely and himself refrained from partaking of food. Patel was later moved to a jail in Nasik, and refused a British offer for a brief release to attend the cremation of his brother Vithalbhai, who had died in 1934. He was finally released in July of the same year. Patel's position at the highest level in the Congress was largely connected with his role from 1934 onwards (when the Congress abandoned its boycott of elections) in the party organisation. Based at an apartment in Mumbai, he became the Congress's main fundraiser and chairman of its Central Parliamentary Board, playing the leading role in selecting and financing candidates for the 1934 elections to the Central Legislative Assembly in New Delhi and for the provincial elections of 1936. In addition to collecting funds and selecting candidates, he also determined the Congress's stance on issues and opponents. Not contesting a seat for himself, Patel nevertheless guided Congressmen elected in the provinces and at the national level. In 1935 Patel underwent surgery for haemorrhoids, yet continued to direct efforts against the plague in Bardoli and again when a drought struck Gujarat in 1939. Patel guided the Congress ministries that had won power across India with the aim of preserving party discipline – Patel feared that the British would take advantage of opportunities to create conflict among elected Congressmen, and he did not want the party to be distracted from the goal of complete independence. Patel clashed with Nehru, opposing declarations of the adoption of socialism at the 1936 Congress session, which he believed was a diversion from the main goal of achieving independence. In 1938 Patel organised rank and file opposition to the attempts of then-Congress president Subhas Chandra Bose to move away from Gandhi's principles of non-violent resistance. Patel saw Bose as wanting more power over the party. He led senior Congress leaders in a protest that resulted in Bose's resignation. But criticism arose from Bose's supporters, socialists, and other Congressmen that Patel himself was acting in an authoritarian manner in his defence of Gandhi's authority. Patel's elder brother Vithalbhai Patel, died in Geneva on October 22, 1933. Historians believe that Patel's speech was instrumental in electrifying nationalists, who up to then had been skeptical of the proposed rebellion. Patel's organising work in this period is credited by historians with ensuring the success of the rebellion across India. Patel was arrested on 9 August and was imprisoned with the entire Congress Working Committee from 1942 to 1945 at the fort in Ahmednagar. Here he spun cloth, played bridge, read a large number of books, took long walks, and practised gardening. He also provided emotional support to his colleagues while awaiting news and developments from the outside. Patel was deeply pained at the news of the deaths of Mahadev Desai and Kasturba Gandhi later that year. But Patel wrote in a letter to his daughter that he and his colleagues were experiencing "fullest peace" for having done "their duty". Even though other political parties had opposed the struggle and the British had employed ruthless means of suppression, the Quit India movement was "by far the most serious rebellion since that of 1857", as the viceroy cabled to Winston Churchill. More than 100,000 people were arrested and many were killed in violent struggles with the police. Strikes, protests, and other revolutionary activities had broken out across India. When Patel was released on 15 June 1945, he realised that the British were preparing proposals to transfer power to India. As the first Home Minister, Patel played the key role in the integration of the princely states into the Indian federation. In the elections, the Congress won a large majority of the elected seats, dominating the Hindu electorate. But the Muslim League led by Muhammad Ali Jinnah won a large majority of Muslim electorate seats. The League had resolved in 1940 to demand Pakistan – an independent state for Muslims – and was a fierce critic of the Congress. The Congress formed governments in all provinces save Sindh, Punjab, and Bengal, where it entered into coalitions with other parties. Patel took charge of the integration of the princely states into India. This achievement formed the cornerstone of Patel's popularity in the post-independence era. Even today he is remembered as the man who united India. He is, in this regard, compared to Otto von Bismarck of Germany, who did the same thing in the 1860s. Under the plan of 3 June, more than 562 princely states were given the option of joining either India or Pakistan, or choosing independence. Indian nationalists and large segments of the public feared that if these states did not accede, most of the people and territory would be fragmented. The Congress as well as senior British officials considered Patel the best man for the task of achieving conquest of the princely states by the Indian dominion. Gandhi had said to Patel, "[T]he problem of the States is so difficult that you alone can solve it". Patel was considered a statesman of integrity with the practical acumen and resolve to accomplish a monumental task. He asked V. P. Menon, a senior civil servant with whom he had worked on the partition of India, to become his right-hand man as chief secretary of the States Ministry. On 6 May 1947, Patel began lobbying the princes, attempting to make them receptive towards dialogue with the future government and forestall potential conflicts. Patel used social meetings and unofficial surroundings to engage most of the monarchs, inviting them to lunch and tea at his home in Delhi. At these meetings, Patel explained that there was no inherent conflict between the Congress and the princely order. Patel invoked the patriotism of India's monarchs, asking them to join in the independence of their nation and act as responsible rulers who cared about the future of their people. He persuaded the princes of 565 states of the impossibility of independence from the Indian republic, especially in the presence of growing opposition from their subjects. He proposed favourable terms for the merger, including the creation of privy purses for the rulers' descendants. While encouraging the rulers to act out of patriotism, Patel did not rule out force. Stressing that the princes would need to accede to India in good faith, he set a deadline of 15 August 1947 for them to sign the instrument of accession document. All but three of the states willingly merged into the Indian union; only Jammu and Kashmir, Junagadh, and Hyderabad did not fall into his basket. Hyderabad was the largest of the princely states, and it included parts of present-day Telangana, Andhra Pradesh, Karnataka, and Maharashtra states. Its ruler, the Nizam Osman Ali Khan, was a Muslim, although over 80% of its people were Hindu. The Nizam sought independence or accession with Pakistan. Muslim forces loyal to Nizam, called the Razakars, under Qasim Razvi, pressed the Nizam to hold out against India, while organising attacks on people on Indian soil. Even though a Standstill Agreement was signed due to the desperate efforts of Lord Mountbatten to avoid a war, the Nizam rejected deals and changed his positions. In September 1948 Patel emphasised in Cabinet meetings that India should talk no more, and reconciled Nehru and the Governor-General, Chakravarti Rajgopalachari, to military action. Following preparations, Patel ordered the Indian Army to invade Hyderabad (in his capacity as Acting Prime Minister) when Nehru was touring Europe. The action was termed Operation Polo, and thousands of Razakar forces were killed, but Hyderabad was forcefully secured and integrated into the Indian Union. The main aim of Mountbatten and Nehru in avoiding a forced annexation was to prevent an outbreak of Hindu–Muslim violence. Patel insisted that if Hyderabad were allowed to continue as an independent nation enclave surrounded by India, the prestige of the government would fall, and then neither Hindus nor Muslims would feel secure in its realm. After defeating Nizam, Patel retained him as the ceremonial chief of state, and held talks with him.There were 562 princely states in India which Sardar Patel conquered. Patel was the chairman of the committees responsible for minorities, tribal and excluded areas, fundamental rights, and provincial constitutions. Patel piloted a model constitution for the provinces in the Assembly, which contained limited powers for the state governor, who would defer to the president – he clarified it was not the intention to let the governor exercise power that could impede an elected government. He worked closely with Muslim leaders to end separate electorates and the more potent demand for reservation of seats for minorities. His intervention was key to the passage of two articles that protected civil servants from political involvement and guaranteed their terms and privileges. He was also instrumental in the founding the Indian Administrative Service and the Indian Police Service, and for his defence of Indian civil servants from political attack; he is known as the "patron saint" of India's services. When a delegation of Gujarati farmers came to him citing their inability to send their milk production to the markets without being fleeced by intermediaries, Patel exhorted them to organise the processing and sale of milk by themselves, and guided them to create the Kaira District Co-operative Milk Producers' Union Limited, which preceded the Amul milk products brand. Patel also pledged the reconstruction of the ancient but dilapidated Somnath Temple in Saurashtra. He oversaw the restoration work and the creation of a public trust, and pledged to dedicate the temple upon the completion of work (the work was completed after his death and the temple was inaugurated by the first President of India, Dr. Rajendra Prasad). In 1949 a crisis arose when the number of Hindu refugees entering West Bengal, Assam, and Tripura from East Pakistan climbed to over 800,000. The refugees in many cases were being forcibly evicted by Pakistani authorities, and were victims of intimidation and violence. Nehru invited Liaquat Ali Khan, Prime Minister of Pakistan, to find a peaceful solution. Despite his aversion, Patel reluctantly met Khan and discussed the matter. Patel strongly criticised Nehru's plan to sign a pact that would create minority commissions in both countries and pledge both India and Pakistan to a commitment to protect each other's minorities. Syama Prasad Mookerjee and K. C. Neogy, two Bengali ministers, resigned, and Nehru was intensely criticised in West Bengal for allegedly appeasing Pakistan. The pact was immediately in jeopardy. Patel, however, publicly came to Nehru's aid. He gave emotional speeches to members of Parliament, and the people of West Bengal, and spoke with scores of delegations of Congressmen, Hindus, Muslims, and other public interest groups, persuading them to give peace a final effort. There is no alternative to this administrative system... The Union will go, you will not have a united India if you do not have good All-India Service which has the independence to speak out its mind, which has sense of security that you will standby your work... If you do not adopt this course, then do not follow the present Constitution. Substitute something else... these people are the instrument. Remove them and I see nothing but a picture of chaos all over the country. Sardar Vallabhbhai Patel, in Constituent Assembly discussing the role of All India Services. Rajmohan Gandhi, in his book writes that Nehru was focused on maintaining religious harmony, casting an independent foreign policy, and constructing a technological and industrial base, while Patel focused on getting the princely states to join the Indian Union, modernising the administrative services, and constructing a cross-party consensus on the significant elements of the Constitution. Criticism arose from the media and other politicians that Patel's home ministry had failed to protect Gandhi. Emotionally exhausted, Patel tendered a letter of resignation, offering to leave the government. Patel's secretary persuaded him to withhold the letter, seeing it as fodder for Patel's political enemies and political conflict in India. However, Nehru sent Patel a letter dismissing any question of personal differences or desire for Patel's ouster. He reminded Patel of their 30-year partnership in the independence struggle and asserted that after Gandhi's death, it was especially wrong for them to quarrel. Nehru, Rajagopalachari, and other Congressmen publicly defended Patel. Moved, Patel publicly endorsed Nehru's leadership and refuted any suggestion of discord, and dispelled any notion that he sought to be prime minister. Nehru gave Patel a free hand in integrating the princely states into India. Though the two committed themselves to joint leadership and non-interference in Congress party affairs, they sometimes would criticise each other in matters of policy, clashing on the issues of Hyderabad's integration and UN mediation in Kashmir. Nehru declined Patel's counsel on sending assistance to Tibet after its 1950 invasion by the People's Republic of China and on ejecting the Portuguese from Goa by military force. Nehru also tried to scuttle Patel's plan with regards to Hyderabad. During a meeting, according to the then civil servant MKK Nair in his book With No Ill Feeling to Anybody, Nehru shouted and accused Patel of being a communalist. Patel also one on occasion called Nehru, a Maulana, for appeasing Muslims. When Nehru pressured Rajendra Prasad to decline a nomination to become the first President of India in 1950 in favour of Rajagopalachari, he angered the party, which felt Nehru was attempting to impose his will. Nehru sought Patel's help in winning the party over, but Patel declined, and Prasad was duly elected. Nehru opposed the 1950 Congress presidential candidate Purushottam Das Tandon, a conservative Hindu leader, endorsing Jivatram Kripalani instead and threatening to resign if Tandon was elected. Patel rejected Nehru's views and endorsed Tandon in Gujarat, where Kripalani received not one vote despite hailing from that state himself. Patel believed Nehru had to understand that his will was not law with the Congress, but he personally discouraged Nehru from resigning after the latter felt that the party had no confidence in him. In his twilight years, Patel was honoured by members of Parliament. He was awarded honorary doctorates of law by Nagpur University, the University of Allahabad and Banaras Hindu University in November 1948, subsequently receiving honorary doctorates from Osmania University in February 1949 and from Punjab University in March 1949. Previously, Patel had been featured on the cover page of the January 1947 issue of Time magazine. Patel's health declined rapidly through the summer of 1950. He later began coughing blood, whereupon Maniben began limiting her meetings and working hours and arranged for a personalised medical staff to begin attending to Patel. The Chief Minister of West Bengal and doctor Bidhan Roy heard Patel make jokes about his impending end, and in a private meeting Patel frankly admitted to his ministerial colleague N. V. Gadgil that he was not going to live much longer. Patel's health worsened after 2 November, when he began losing consciousness frequently and was confined to his bed. He was flown to Bombay (now Mumbai) on 12 December on advice from Dr Roy, to recuperate as his condition was deemed critical. Nehru, Rajagopalchari, Rajendra Prasad, and Menon all came to see him off at the airport in Delhi. Patel was extremely weak and had to be carried onto the aircraft in a chair. In Bombay, large crowds gathered at Santacruz Airport to greet him. To spare him from this stress, the aircraft landed at Juhu Aerodrome, where Chief Minister B. G. Kher and Morarji Desai were present to receive him with a car belonging to the Governor of Bombay that took Vallabhbhai to Birla House. After suffering a massive heart attack (his second), Patel died on 15 December 1950 at Birla House in Bombay. In an unprecedented and unrepeated gesture, on the day after his death more than 1,500 officers of India's civil and police services congregated to mourn at Patel's residence in Delhi and pledged "complete loyalty and unremitting zeal" in India's service. Numerous governments and world leaders sent messages of condolence upon Patel's death, including Trygve Lie, the Secretary-General of the United Nations, President Sukarno of Indonesia, Prime Minister Liaquat Ali Khan of Pakistan and Prime Minister Clement Attlee of the United Kingdom. In homage to Patel, Prime Minister Jawaharlal Nehru declared a week of national mourning. Patel's cremation was planned at Girgaum Chowpatty, but this was changed to Sonapur (now Marine Lines) when his daughter conveyed that it was his wish to be cremated like a common man in the same place as his wife and brother were earlier cremated. K.M Munshi wrote in his book that after Patel's death Nehru ‘issued a direction to the Ministers and the Secretaries not to go to Bombay to attend the funeral. Jawaharlal also requested Dr. Rajendra Prasad not to go to Bombay; it was a strange request to which Rajendra Prasad did not accede.’. His cremation in Sonapur in Bombay was attended by a crowd of one million including Prime Minister Jawaharlal Nehru, Rajagopalachari and President Rajendra Prasad. During his lifetime, Vallabhbhai Patel received criticism for an alleged bias against Muslims during the time of Partition. He was criticised by Maulana Azad and others for readily supporting partition. Guha says that, during the Partition, Nehru wanted the government to make the Muslims stay back and feel secure in India while Patel was inclined to place that responsibility on the individuals themselves. Patel also told Nehru that the minority also had to remove the doubts that were entertained about their loyalty based on their past association with the demand of Pakistan. However, Patel successfully prevented attacks upon a train of Muslim refugees leaving India. In September 1947 he was said to have had ten thousand Muslims sheltered safely in the Red Fort and had free kitchens opened for them during the communal violence. Patel was also said to be more forgiving of Indian nationalism and harsher on Pakistan. He exposed a riot plot, confiscated a large haul of weapons from the Delhi Jumma Masjid, and had a few plotters killed by the police, but his approach was said to have been harsh. Patel was also criticised by supporters of Subhas Chandra Bose for acting coercively to put down politicians not supportive of Gandhi. Socialist politicians such as Jaya Prakash Narayan and Asoka Mehta criticised him for his personal proximity to Indian industrialists such as the Birla and Sarabhai families. It is said that Patel was friendly towards capitalists while Nehru believed in the state controlling the economy. Also, Patel was more inclined to support the West in the emerging Cold War. Patel had long been the rival of Nehru for party leadership, but Nehru usually prevailed over the older man, who died in 1950. Subsequently, J. R. D. Tata, the Industrialist, Maulana Azad and several others expressed the opinion that Patel would have made a better Prime Minister for India than Nehru. These Patel admirers and Nehru's critics cite Nehru's belated embrace of Patel's advice regarding the UN and Kashmir and the integration of Goa by military action and Nehru's rejection of Patel's advice on China. Proponents of free enterprise cite the failings of Nehru's socialist policies as opposed to Patel's defence of property rights and his mentorship of what was to be later known as the Amul co-operative project. However, A. G. Noorani, in comparing Nehru and Patel, writes that Nehru had a broader understanding of the world than Patel. Patel the realist was home minister and deputy premier, Nehru the visionary was premier and foreign minister. The two constituted a formidable pair. Patel represented Indian nationalism’s Hindu face, Nehru India’s secular and also global face. Their partnership, necessary and fruitful for the country, was a solemn commitment that each made to the other. ...History holds many examples of the fruits of freedom squandered by lack of attention to stability and order, the twin foundations of society. Though a revolutionary in his fight against foreign rule, Sardar Patel was no believer in abrupt or violent change; progress by evolution was really his motto. And so, although in August 1947 power changed hands, and with it the spirit of the administration, the machinery of Government was preserved. As Home Minister and Minister for States, the Sardar had a double task, conservative in the good sense of the word, in what had been Provinces in the old India, creative in the Indian States. Neither was easy. To the ordinary stresses of a transition caused by the withdrawal of trained personnel which had wielded all power for a hundred years was added the strain of partition, and the immense human upheavals and suffering that followed it. The fate of our new State hung in the balance during those perilous months when millions moved across the new frontiers under conditions which are still vivid—indeed, too vivid—in our memories, and therefore, need not be described. That despite some oscillation the scales stayed steady was due not only to the faith of the people in its leaders, but to the firm will and strong hand of the new Home Minister. Among Patel's surviving family, Maniben Patel lived in a flat in Mumbai for the rest of her life following her father's death; she often led the work of the Sardar Patel Memorial Trust, which organises the prestigious annual Sardar Patel Memorial Lectures, and other charitable organisations. Dahyabhai Patel was a businessman who was elected to serve in the Lok Sabha (the lower house of the Indian Parliament) as an MP in the 1960s. For many decades after his death, there was a perceived lack of effort from the Government of India, the national media, and the Congress party regarding commemoration of Patel's life and work. Patel was posthumously awarded the Bharat Ratna, India's highest civilian honour, in 1991. It was announced in 2014 that his birthday, 31 October, would become an annual national celebration known as Rashtriya Ekta Diwas (National Unity Day). In 2012, Patel was ranked number 3 in Outlook India's poll of the Greatest Indian. Patel's family home in Karamsad is preserved in his memory. The Sardar Vallabhbhai Patel National Memorial in Ahmedabad was established in 1980 at the Moti Shahi Mahal. It comprises a museum, a gallery of portraits and historical pictures, and a library containing important documents and books associated with Patel and his life. Amongst the exhibits are many of Patel's personal effects and relics from various periods of his personal and political life. Patel is the namesake of many public institutions in India. A major initiative to build dams, canals, and hydroelectric power plants in the Narmada river valley to provide a tri-state area with drinking water and electricity and to increase agricultural production was named the Sardar Sarovar. Patel is also the namesake of the Sardar Vallabhbhai National Institute of Technology in Surat, Sardar Patel University, Sardar Patel High School, and the Sardar Patel Vidyalaya, which are among the nation's premier institutions. India's national police training academy is also named after him. The international airport of Ahmedabad is named after him. Also the international cricket stadium of Ahmedabad (also known as the Motera Stadium) is named after him. A national cricket stadium in Navrangpura, Ahmedabad, used for national matches and events, is also named after him. The chief outer ring road encircling Ahmedabad is named S P Ring Road. The Gujarat government's institution for training government functionaries is named Sardar Patel Institute of Public Administration. Rashtriya Ekta Diwas (National Unity Day) was introduced by the Government of India and inaugurated by Indian Prime Minister Narendra Modi in 2014. The intent is to pay tribute to Patel, who was instrumental in keeping India united. It is to be celebrated on 31 October every year as annual commemoration of the birthday of the Iron Man of India Sardar Vallabhbhai Patel, one of the founding leaders of Republic of India. The official statement for Rashtriya Ekta Diwas by the Home Ministry of India cites that the National Unity Day "will provide an opportunity to re-affirm the inherent strength and resilience of our nation to withstand the actual and potential threats to the unity, integrity and security of our country." National Unity Day celebrates the birthday of Patel because, during his term as Home Minister of India, he is credited for the integration of over 550 independent princely states into India from 1947–49 by Independence Act (1947). He is known as the "Bismarck[a] of India". The celebration is complemented with the speech of Prime Minister of India followed by the "Run for Unity". The theme for 2016 celebrations was "Integration of India". The Statue of Unity is a monument dedicated to Patel, located in the Indian state of Gujarat, facing the Narmada Dam, 3.2 km away from Sadhu Bet near Vadodara. At the height of 182 metres (597 feet), it is the world's tallest statue, exceeding the Spring Temple Buddha by 54 meters. This statue and related structures are spread over 20000 square meters and are surrounded by an artificial lake spread across 12 km and cost an estimated 29.8 billion rupees ($430m). It was inaugurated by India's Prime Minister Narendra Modi on 31 October 2018, the 143rd anniversary of Patel's birth. 1947: Patel was featured on the cover of Time magazine. 1976: Kantilal Rathod directed a documentary on Sardar Vallabhbhai Patel. 1982: In Richard Attenborough's Gandhi (1982), actor Saeed Jaffrey portrayed Patel. 1989: In a satirical novel The Great Indian Novel by Shashi Tharoor, the character of Vidur Hastinapuri is simultaneously based on Patel as well as the mythological character Vidura. 1993: The biopic Sardar was produced and directed by Ketan Mehta and featured noted Indian actor Paresh Rawal as Patel; it focused on Patel's leadership in the years leading up to independence, the partition of India, India's political integration and Patel's relationship with Gandhi and Nehru. The film was screened retrospectively on 12 August 2016 at the Independence Day Film Festival jointly presented by the Indian Directorate of Film Festivals and Ministry of Defense, commemorating the 70th Indian Independence Day. 2000: Arun Sadekar plays Patel in Hey Ram – a film made by Kamal Haasan. ^ Otto von Bismarck was known for the 1871 unification of Germany. ^ Statue of Sardar Vallabhai Patel is about 182 meters and located dancing the Narmada Dam, 3.2 km away on the river island called Bet near Vadodara in Gujarat. ^ "How Vallabhbhai Patel, V P Menon and Mountbatten unified India". 2017-10-31. ^ Gandhi, Rajmohan. Patel: a life (Biography). navjivan trust. ^ Menon, V.P. (15 September 1955). Original first edition with maps - The story of the integration of the Indian states (First ed.). Bangalore: Longmans Green and Co. Retrieved 22 March 2019. ^ Rajmohan Gandhi 1990, p. 3. ^ Rajmohan Gandhi 1990, p. 14. ^ Rajmohan Gandhi 1990, p. 13. ^ Rajmohan Gandhi 1990, p. 16. ^ Rajmohan Gandhi 1990, p. 21. ^ Rajmohan Gandhi 1990, p. 23. ^ Rajmohan Gandhi 1990, p. 33. ^ "International Vegetarian Union (IVU) – Patel". International Vegetarian Union. ^ Raojibhai Patel 1972, p. 33. ^ Rajmohan Gandhi 1990, p. 43. ^ Parikh 1953, p. 55. ^ Raojibhai Patel 1972, p. 39. ^ Rajmohan Gandhi 1990, p. 65. ^ Rajmohan Gandhi 1990, pp. 66–68. ^ Rajmohan Gandhi 1990, p. 91. ^ Rajmohan Gandhi 1990, p. 134. ^ Rajmohan Gandhi 1990, pp. 138–141. ^ Rajmohan Gandhi 1990, pp. 119–125. ^ Rajmohan Gandhi 1990, pp. 149–151. ^ Rajmohan Gandhi 1990, p. 168. ^ Rajmohan Gandhi 1990, p. 193. ^ Rajmohan Gandhi 1990, p. 206. ^ Rajmohan Gandhi 1990, pp. 221–222. ^ Rajmohan Gandhi 1990, pp. 226–229. ^ Brass, Paul R. (2004). Patel, Vallabhbhai Jhaverbhai (1875/6–1950), Politician in India. Oxford Dictionary of National Biography. ^ Rajmohan Gandhi 1990, p. 248. ^ Rajmohan Gandhi 1990, p. 266. ^ "Article on Vithalbhai's death". ^ Sengupta, Hindol (2018). The Man Who Saved India. India: Penguin Random House India Private Limited. ISBN 978-9353052003. ^ Parikh. Patel (2). pp. 434–436. ^ Parikh. Patel (2). pp. 447–479. ^ Rajmohan Gandhi 1990, pp. 311–312. ^ Nandurkar 1981, p. 301. ^ Rajmohan Gandhi 1990, p. 313. ^ Parikh. Patel (2). pp. 474–477. ^ Parikh. Patel (2). pp. 477–479. ^ Rajmohan Gandhi 1990, p. 316. ^ Pattabhi 1946, p. 395. ^ Pattabhi 1946, p. 13. ^ Nandurkar 1981, p. 390. ^ Rajmohan Gandhi 1990, p. 318. ^ Buta Singh, "Role of Sardar Patel in the Integration of Indian States." Calcutta Historical Journal (July-Dec 2008) 28#2 pp 65-78. ^ Agrawal, Lion M.G. (2008). Freedom fighters of India (Volume 2). New Delhi: ISHA Books. p. 238. ^ Rajmohan Gandhi 1990, pp. 395–397. ^ Menon 1997, p. 385. ^ Balraj Krishna 2007, p. 87. ^ Menon 1997, p. 397. ^ Syed, M.H. (2010). Sardar Vallabhbhai Patel. Mumbai: Himalaya Books Pvt. Ltd. p. 18. ^ French, Patrick (1997). Liberty and Death: India's Journey to Independence and Division. London: HarperCollins. pp. 347–349. ^ "Postcolonial Studies" project, Department of English, Emory University. "The Partition of India". ^ Shankar & 1974–75, pp. 104–105. ^ Agrawal, Lion M.G. (2008). Freedom fighters of India (Volume 2). New Delhi: ISHA Books. pp. 241–242. ^ Rajmohan Gandhi 1990, p. 406. ^ Syed, M.H. (2010). Sardar Vallabhbhai Patel (1st ed.). Mumbai: Himalaya Books Pvt. Ltd. p. 21. ^ a b Rajmohan Gandhi 1990, p. 438. ^ Rajmohan Gandhi 1990, p. 480. ^ Rajmohan Gandhi 1990, pp. 481–482. ^ Syed, M.H (2010). Sardar Vallabhbhai Patel (1st ed.). Mumbai: Himalaya Books Pvt. Ltd. p. 22. ^ Rajmohan Gandhi 1990, p. 483. ^ a b c d "Sardar Patel was the real architect of the Constitution". Rediff.com. ^ Munshi 1967, p. 207. ^ Rajmohan Gandhi 1990, p. 455. ^ Rajmohan Gandhi 1990, p. 463. ^ Rajmohan Gandhi 1990, p. 497. ^ Rajmohan Gandhi 1990, p. 498. ^ Rajmohan Gandhi 1990, p. 499. ^ "Nehru 'snooping' on Netaji's kin gives BJP anti-Congress ammunition". The Times of India. 11 April 2015. ^ "Discussion in Constituent Assembly on role of Indian Administrative Service". Parliament of India. Retrieved 26 January 2010. ^ "Sardar Patel's great contribution was the Indian Administrative Service". The Economic Times. New Delhi. 31 October 2018. OCLC 61311680. Retrieved 21 January 2018. ^ Noorani, A.G. (2 July 2017). "Save the integrity of the civil service". Deccan Chronicle. Retrieved 4 September 2017. ^ Naidu, M Venkaiah (31 October 2017). "The great unifier". The Indian Express. OCLC 70274541. Retrieved 21 January 2018. ^ "One Who Forged India's Steel Frame". H.N. Bali. Retrieved 15 November 2016. ^ "Nehru And Patel: An Unreakable Combination". Outlook India. 2016. ^ Rajmohan Gandhi 1990, p. 459. ^ Rajmohan Gandhi 1990, p. 467. ^ Rajmohan Gandhi 1990, pp. 467–469. ^ Rajmohan Gandhi 1990, pp. 472–473. ^ a b Rajmohan Gandhi 1990, pp. 469–470. ^ Rajmohan Gandhi 1990, pp. 508–512. ^ Ahmad, Irfan (2009-09-21). Islamism and Democracy in India: The Transformation of Jamaat-e-Islami. Princeton University Press. ISBN 978-0691139203. ^ Rajmohan Gandhi 1990, pp. 523–524. ^ Rajmohan Gandhi 1990, pp. 504–506. ^ Rajmohan Gandhi 1990, pp. 494–495. ^ a b c "Officials Mourn Sardar's Death – Pledge of Service to the Land – Secretary-General's Tribute to the Departed Statesman" (PDF). Press Information Bureau, Government of India – Archive. Archived (PDF) from the original on 23 March 2018. ^ Syed, M.H. (2010). Sardar Vallabhbhai Patel (1st ed.). Mumbai, India: Himalaya Books Pvt. Ltd. p. 25. ^ "Sardar Vallabhbhai". Time. January 1947. ^ Rajmohan Gandhi 1990, p. 530. ^ Rajmohan Gandhi 1990, p. 532. ^ a b Pran Nath Chopra, Vallabhbhai Patel (1999). The collected works of Sardar Vallabhbhai Patel, Volume 15. Konark Publishers. pp. 195, 290. ISBN 978-8122001785. ^ "Gazette of India – Extraordinary – Minister of Home Affairs (Resolution)" (PDF). Press Information Bureau, Government of India. Archived from the original (PDF) on 19 October 2017. Retrieved 7 July 2017. ^ Panjabi 1969, pp. 157–158. ^ "World-Wide Homage to Sardar Patel – Condolence Messages" (PDF). Press Information Bureau, Government of India. Archived (PDF) from the original on 23 March 2018. ^ "State Mourning for Sardar Patel's Death" (PDF). Press Information Bureau, Government of India. Archived (PDF) from the original on 23 March 2018. ^ Munshi, Kalyanlal Maneklal (1967). Pilgrimage to freedom. Bharatiya Vidya Bhavan. pp. 289–90. ISBN 9788172764692. ^ Sengupta, Hindol (2018). The Man Who Saved India. India: Penguin Random House India Private Limited. ISBN 9780670089901. ^ Vallabhbhai Patel, Manibahen Patel (1974). This was Sardar: the commemorative volume Volume 1 of Birth-centenary. Sardar Vallabhbhai Patel Smarak Bhavan. p. 38. ^ Rajmohan Gandhi 1990, p. 533. ^ Bhatt 1991, p. 33. ^ Guha 2007, p. 130. ^ Bhatt 1991, p. 34. ^ a b Bhatt 1991, p. 35. ^ a b c Guha 2007, p. 128. ^ Balraj Krishna 2007, p. 67. ^ Balraj Krishna 2007, p. 193. ^ Gandhi, Rajmohan (1997). Rajaji: A Life. Penguin Books India. p. 316. ISBN 978-0140269673. ^ Heredia, Ruth (1997). The Amul India Story. Tata McGraw-Hill Education. p. 12. ISBN 978-0074631607. ^ Desai, Anjali (2006). India Guide Gujarat. India Guide Publications. p. 197. ISBN 978-0978951702. ^ Noorani, A.G. (13 December 2013). "Patel's communalism – a documented record". Frontline. Retrieved 27 June 2015. Nehru was cultured and refined. Patel was coarse to a degree. Nehru had a world view. Patel was ignorant of world affairs. Nehru was great despite his serious flaws and grave failures. Patel was small and mean despite his admirable qualities. ^ Padmavathi, S.; Hariprasath, D.G. Hari (2017). Mahatma Gandhi Assassination: J.L. Kapur Commission Report – Part 2 (1st ed.). Notion Press, Inc.
^ Rajmohan Gandhi 1990, p. ix. ^ Rao, Yogita (26 October 2014). "Most schools may skip Ekta Diwas for Diwali break". The Times of India. Retrieved 2015-02-25. ^ Syed, M.H. (2010). Sardar Vallabhbhai Patel (1st ed.). Mumbai: Himalaya Books Pvt. Ltd. p. 27. ^ a b "India unveils world's tallest statue". BBC News. 2018-10-31. Retrieved 2018-10-31. ^ "PM Modi dedicates Statue of Unity to the Nation | Only Kashmir - Behind the News". ^ "Film fest to celebrate Independence Day". The Times of India. Krishna, Balraj. India's Bismarck, Sardar Vallabhbhai Patel (Indus Source, 2007). Kumar, Ravindra. Life and Work of Sardar Vallabhbhai Patel (Atlantic Publishers & Distri, 1991). Patel, Vallabhbhai, and Pran Nath Chopra. The Collected Works of Sardar Vallabhbhai Patel (2 vol Konark Publishers, 1991). This page was last edited on 17 April 2019, at 11:46 (UTC).